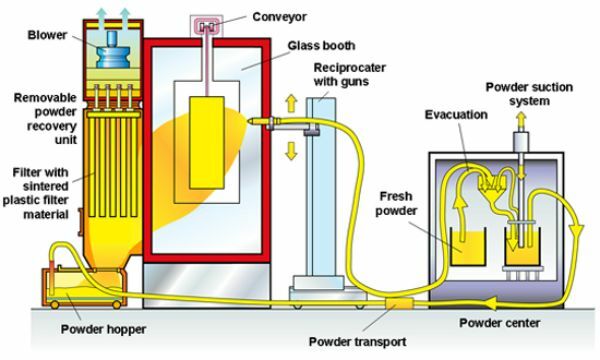 A powder booth is an enclosure that is designed to contain the powder application process. A recovery system is attached to the powder booth shell. 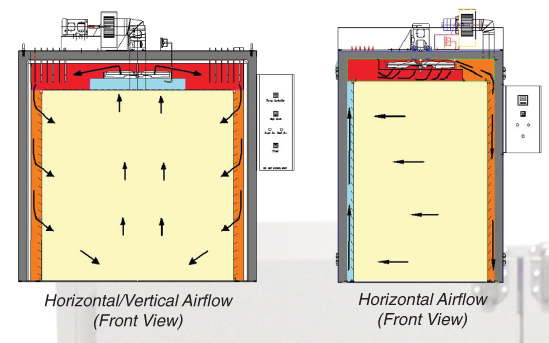 The recovery system uses a fan to pull air into the booth and prevent the oversprayed powder from migrating out of the enclosure. The spray gun is designed to impart an electrostatic charge to the powder material and direct it toward a grounded workpiece.The electrostatic charge can be imparted with voltage, called corona charging, or by frictional contact with the inside of the gun barrel,called tribo charging. and a fan to heat the interior of an insulated enclosure. 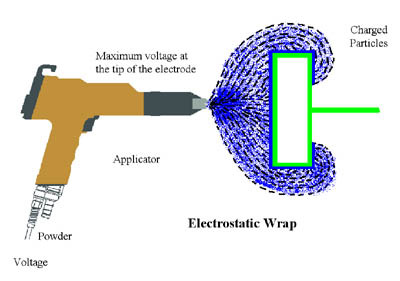 Infrared curing applies light energy to the part surface by direct transmission from an emitter.